The HC414 24-inch Cyclone range hood makes a statement of strength and power as the stainless steel frame gleams under your kitchen lights! It comes with dishwasher safe filters that never have to be replaced, a three-speed push button control panel and a timer-delayed off mode for added convenience. 20.5 inch 390 CFM Power pack range hood in silver painted Broan power pack PM390 Series. 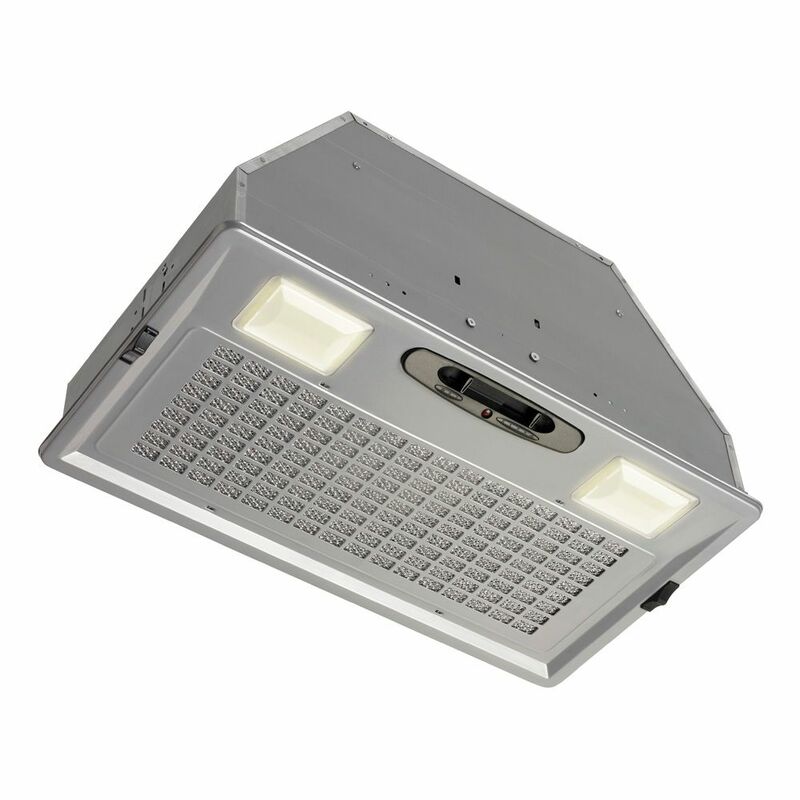 This integrated unit provides the ventilation and lighting you need for your custom application. Select this silver-finished blower with multi-speed control to provide quiet, effective performance. Incandescent lighting complements the beauty of a fully enclosed bottom containing dishwasher-safe filters to make cleaning easy. Designed to be used with Broan's Box or T design custom liners. 20.5 inch 390 CFM Power pack range hood in silver painted is rated 3.6 out of 5 by 40. Rated 1 out of 5 by Mountain man from Do not recommend Have the model 390, it's loud and cannot be used on the second or third (high) speed. The motor is out of balance and vibrates so much you can't stand it. Was hoping for better quality from this company. Everything is great in our new home except for this fan. Rated 3 out of 5 by Old Soldier from Works with issues This came with the house we had built. The fan does it job. However, it is very difficult to get the cover back on where the light bulbs go. Also, the damper is very loud when it close and the wind can cause it to open and close. Rated 1 out of 5 by Patrick Powell from Horrible Product My wife and I built our home from the ground up last year. This equipment literally broke one month after we moved in. The motor in the fan no longer worked after two months and we reached out to the builder which had no solutions for us regarding rectifying the matter. Rated 5 out of 5 by Georgie from Fan is great The builder put this exhaust fan/light over our range. Super product. The fan will get rid of any odor quickly. We use the light all the time. Rated 5 out of 5 by Keenemusic from Love this Broan! This vent hood/light was built into our new home when we purchased it. We had never seen this kind/brand before. It works great, looks fantastic and has a wonderful light. The switches are at the top so if you’re a short lady they might be difficult to reach. It’s a beautiful addition to any kitchen! Rated 4 out of 5 by Topdawg from Good Product It has met all our expectations and is a very good product. Rated 1 out of 5 by sy98074 from Broke down in 3 years Dont buy. Builder installed. Never performed well. Too noisy. Stopped working in 40 months. Last 8 months was huge noise. Replacing with different brand.